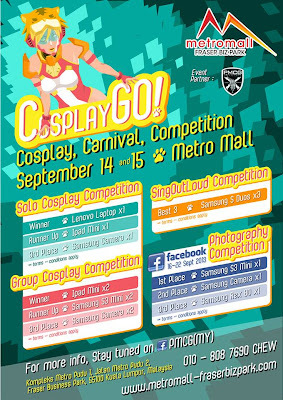 Hey, there, cosplayer fans, there will be an upcoming cosplay event organized by PMCG and hosted by Metromall, it is named as Cosplay GO! 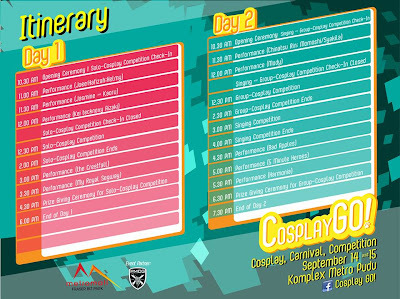 Minigames like pop-quizzes with prizes! 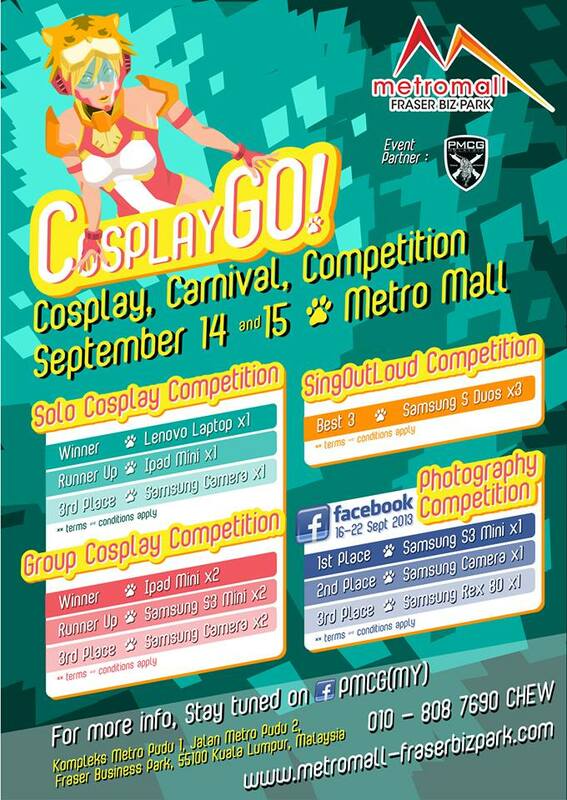 All of these competitions come with awesome prizes such as Lenovo Laptop, Samsung smartphones and etc. If you love anime,manga & cosplay, then you should really check out this event!